Laser pointer is a versatile presentation tool with four functions. Ultra-bright laser dot is easily viewed even against high-lumen projections at up to 150 yards. 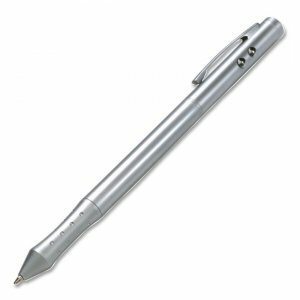 Combination design offers a class 2 laser pointer and LED Light at one end. The other end has a ballpoint pen and PDA stylus. Laser pointer includes four LR41 batteries.